A walk amongst nature is always near the top of my activities list, whether I’m at home or on the road exploring new places. The fresh air, the peacefulness, and the escaping of crowds does wonders for my mind and body. 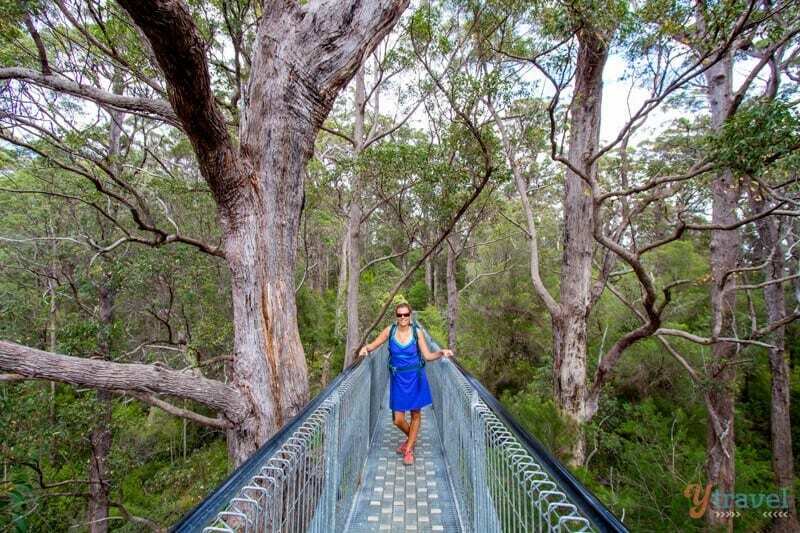 Throw in some seriously big trees, otherwise known as The Valley of the Giants and the Tree Top Walk here in Australia’s South West region and the enjoyment factor goes up a notch. 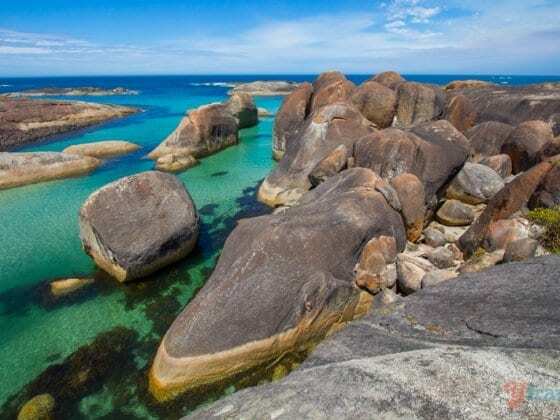 If you’ve been following us for a while, you’ll have seen that Western Australia is a natural wonderland, full of white sandy beaches, towering forests, rugged coastline, nature trails, gorges, and wildflowers in season. 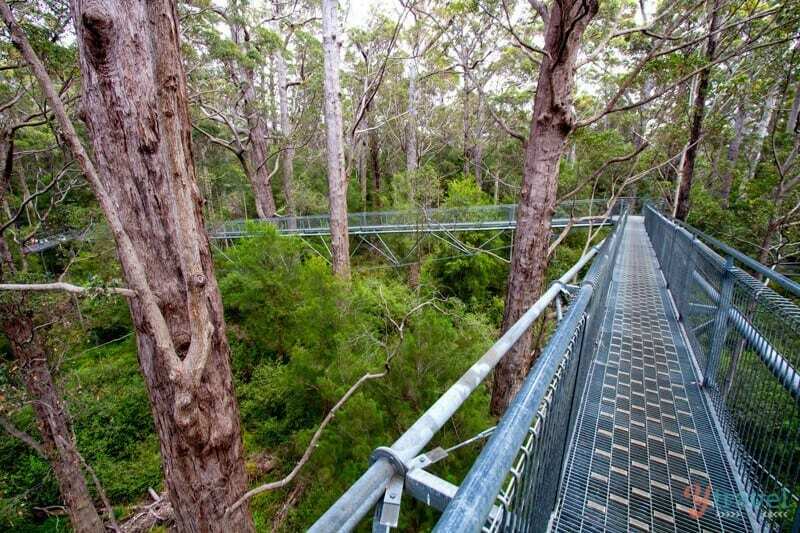 One place we had pencilled in on our 18 month trip around Australia was the Valley of the Giants and the famous Tree Top Walk through the tingle forest, a popular destination near the towns of Denmark and Walpole. 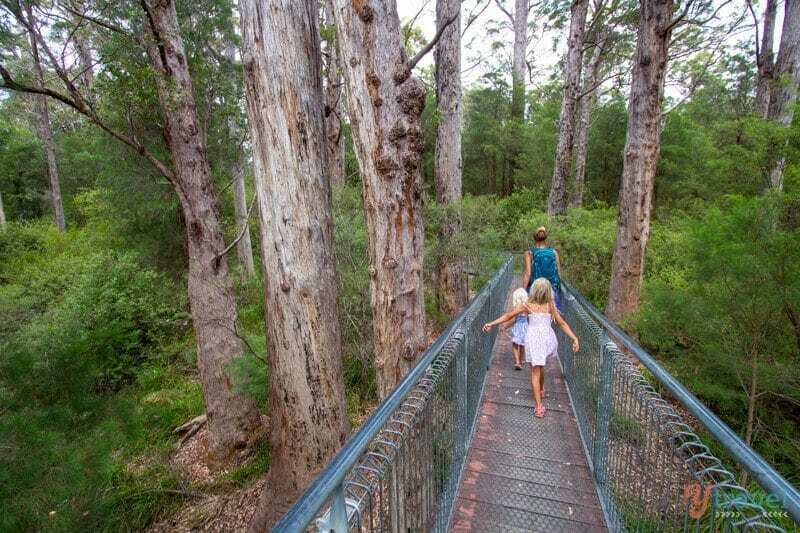 We love trees, and the forest, and walking. So we just had to visit. After our early morning swim at Elephant Rocks, a spectacular beach you must visit whilst in the area, we headed for the serenity of the forest. 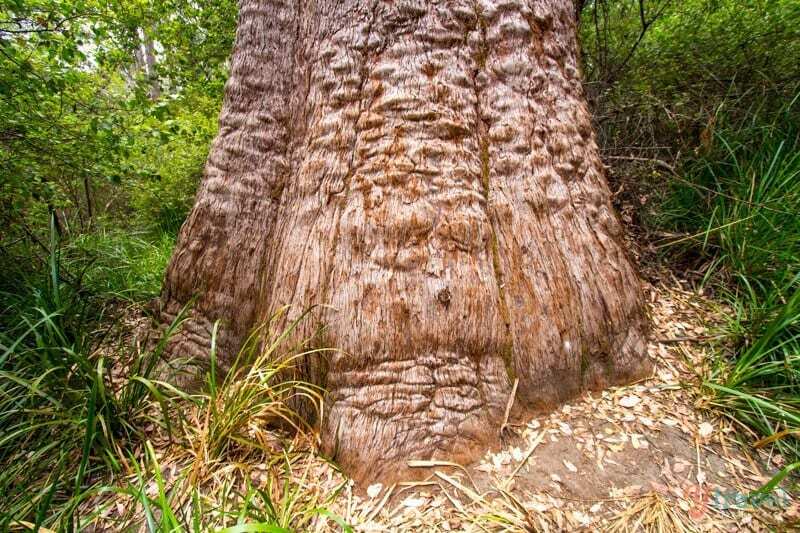 The Valley of The Giants derives its name from the large red tingle trees. And giant they are, especially when you stand little Kalyra and Savannah in their hollowed-out butts, their large scale is quickly put into perspective! 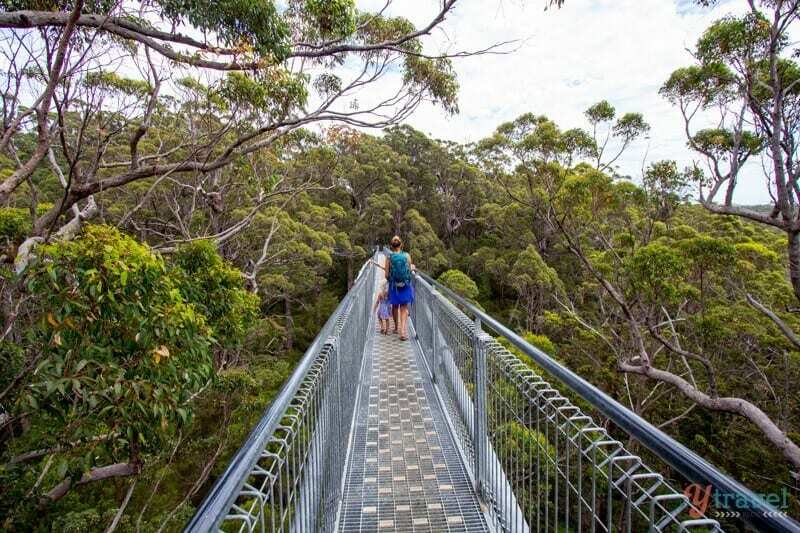 A birds-eye view of the tingle forest can be gained from 40 metres above ground level as you walk seemingly on air high up in the treetop canopy. 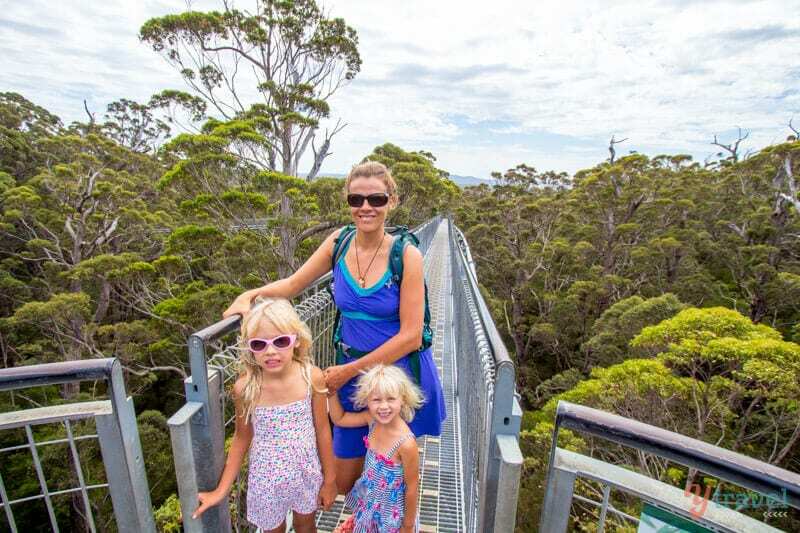 I’m not usually one for heights, but the lightweight steel trusses provide a secure platform and my mind is quickly put at ease as I focus in on the forest and smiles on my kids faces as we enjoy a family activity high in the sky over the deep, red tingle gully. 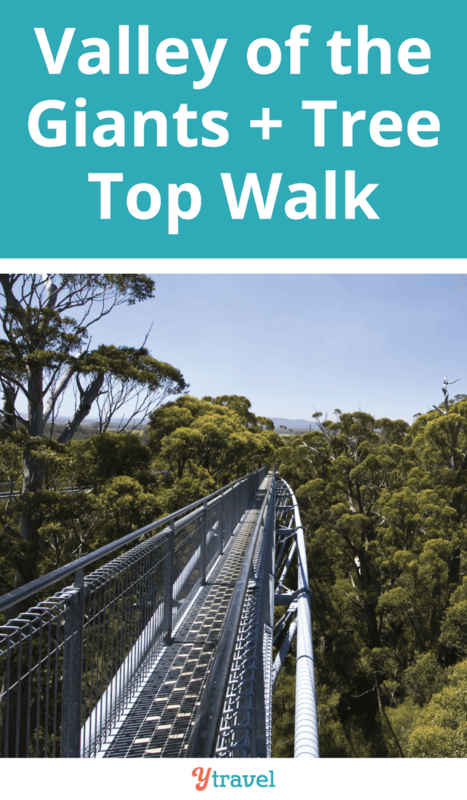 Built on the side of a natural valley, The Tree Top Walk rises up above the forest floor on a gentle grade that’s suitable for kids and strollers, with the highest point about 40 metres above ground. 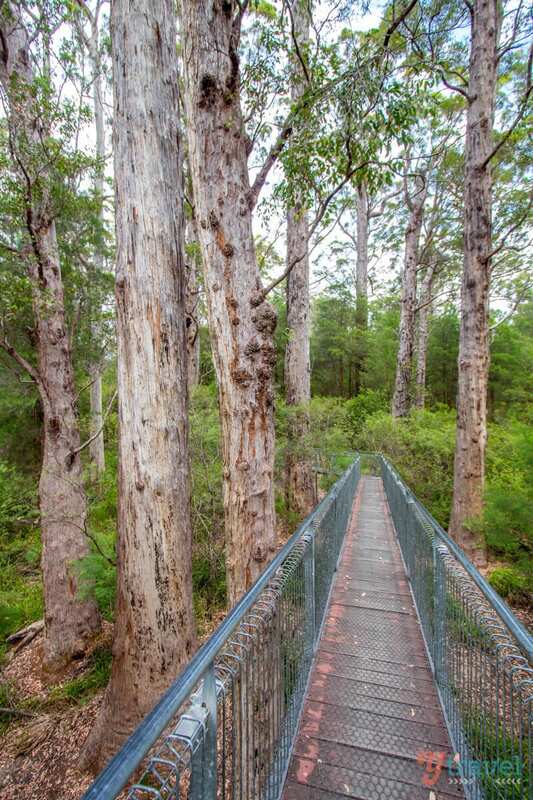 To get a different perspective from the ground, the Ancient Empire Boardwalk takes you through a grove of veteran tingle trees called the Ancient Empire. 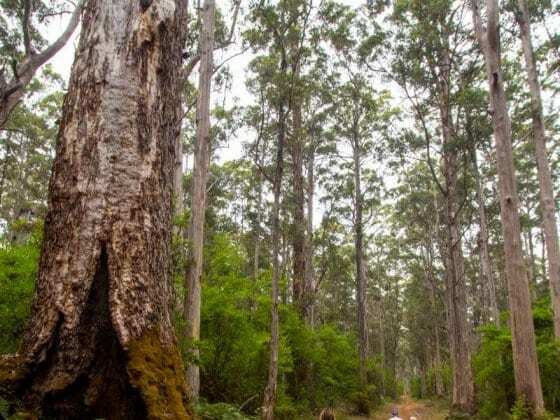 This area contains the ‘Giants’ for which the forest was named, with some trees measuring up to 16 metres in circumference around their base. 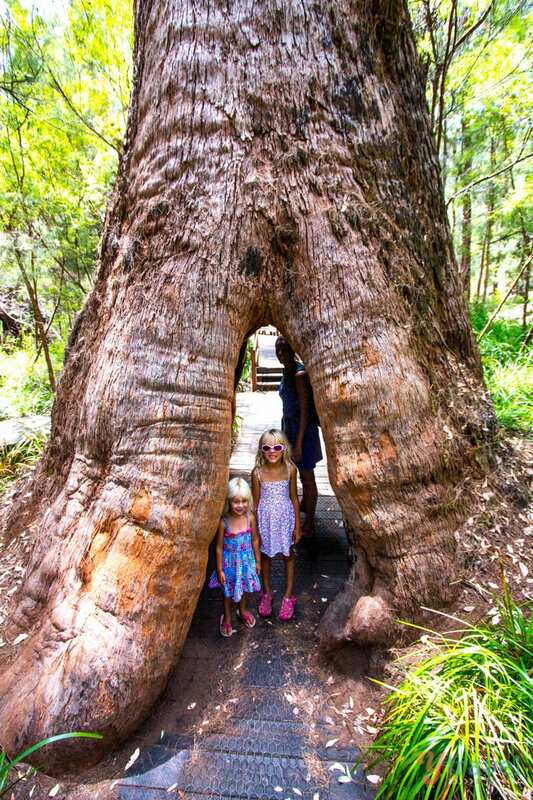 The kids loved playing in the hallowed-out butts and exploring the unique shapes of the giant trees. 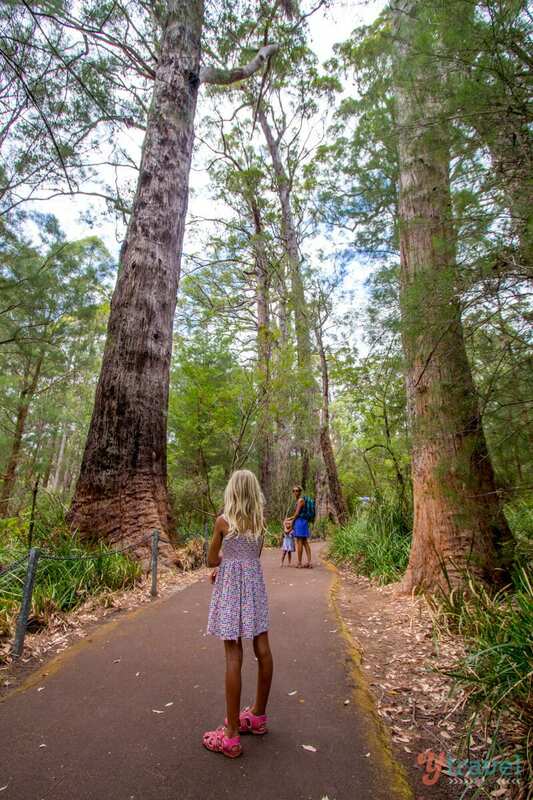 Getting up close and personal to the 400-year-old giants whilst listening to the sounds and movement of the forest created a peaceful experience, and the canopy provided welcome shade from the heat of the day. 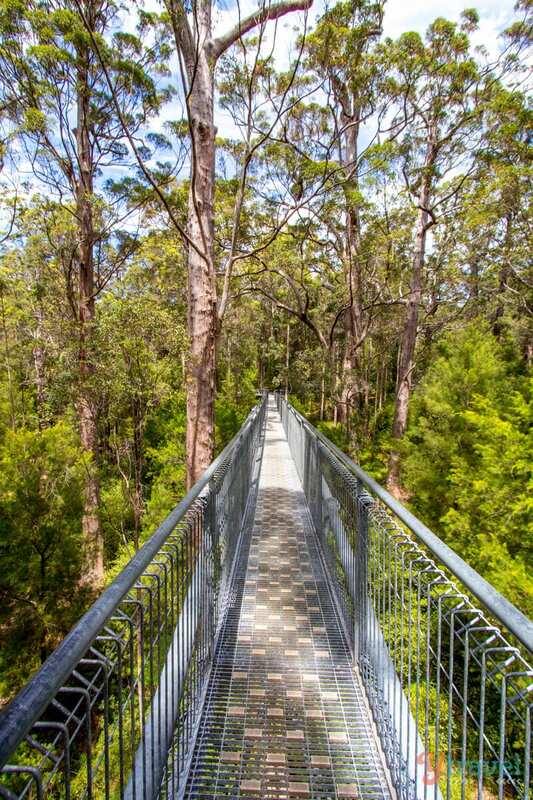 The 600-metre Ancient Empire boardwalk starts from the visitor interpretation centre. 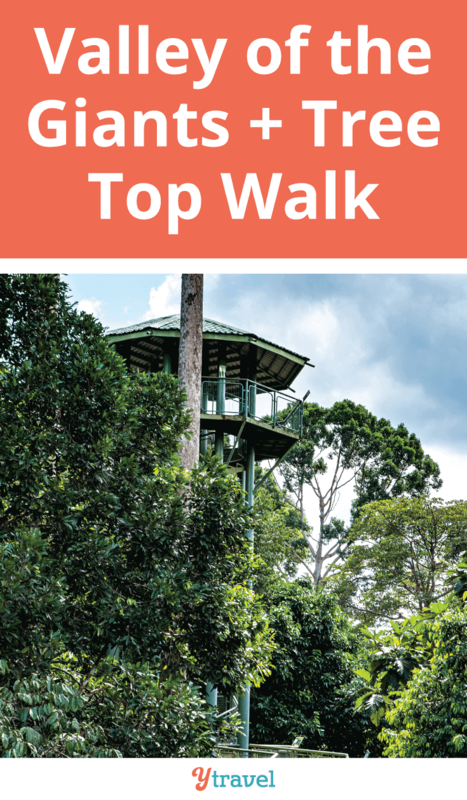 Entry to this experience is free, but there is a cost for the tree top walk. 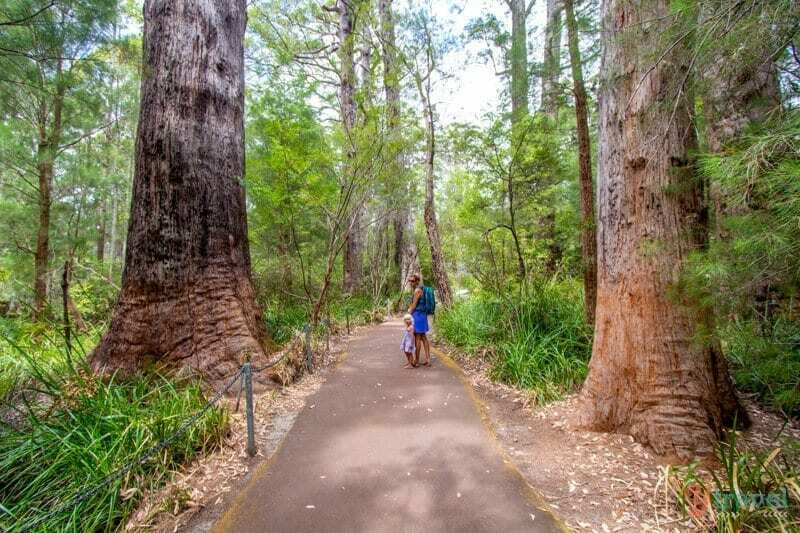 Getting there – The Valley of the Giants is about 420 kilometres from Perth, located on the Valley of the Giants Road off the South Coast Highway, Nornalup. From Denmark it’s about a 30-minute drive west along South Coast Highway. Opening hours – open every day of the year apart from Christmas. May be closed during extreme weather (lightning or very windy) conditions. 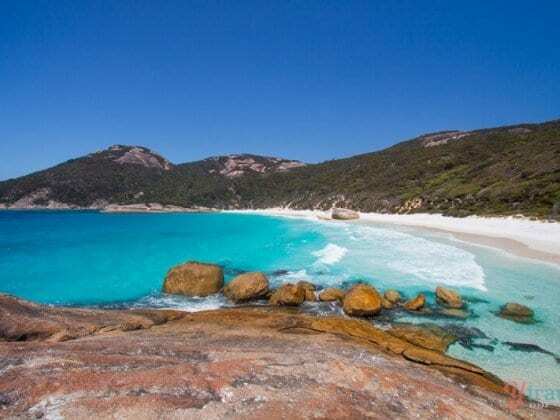 Booking.com has 895 properties in Western Australia including hotels, apartments and hostels. Get free cancellation on most rooms and a best price guarantee. 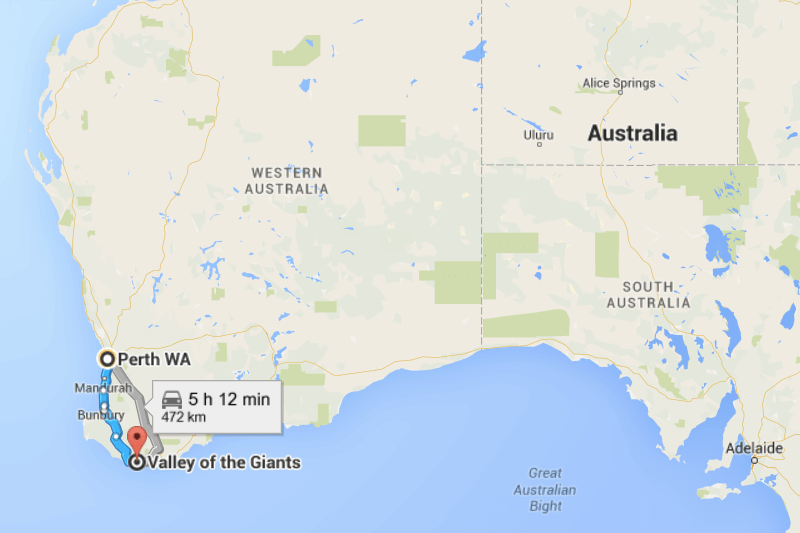 If you find yourself in the South West of WA, take the time to visit the Valley of the Giants. You don’t need long here, but the memories will last a while. Hi Michelle, it was a fun family outing for sure! Wow, this looks amazing! 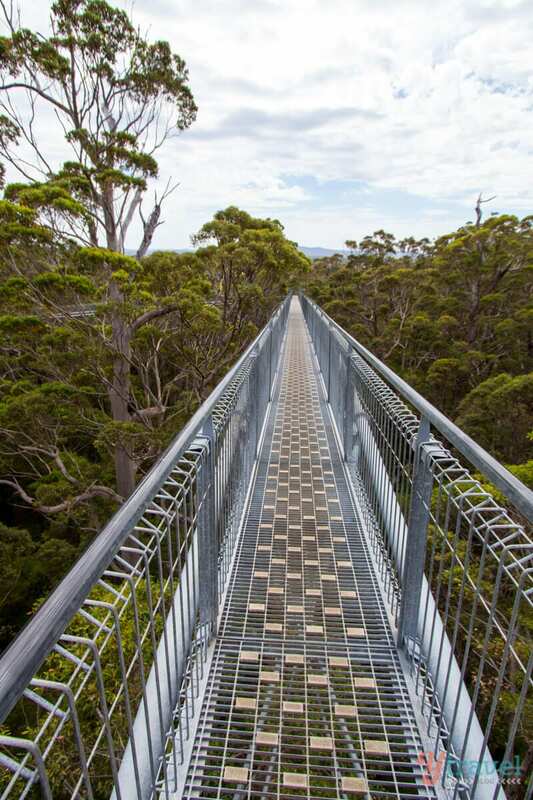 I’m afraid of heights, so I think it would take a lot of courage to explore, but it looks like it would be worth it! I’m glad you guys got to see the Valley of the Giants; its worth the drive, isn’t it?! I was impressed to think of how it was built; all done by climbers with pulleys. No way you’d get a crane in there! They actually designed the steel to rust on the surface, so it blends in better with nature. What a place!